HIXSON, Tenn. — Morning Pointe of Hixson residents decorated the dining tables in honor of Memorial Day, with the help of Paula Hensel with Senior Helpers. 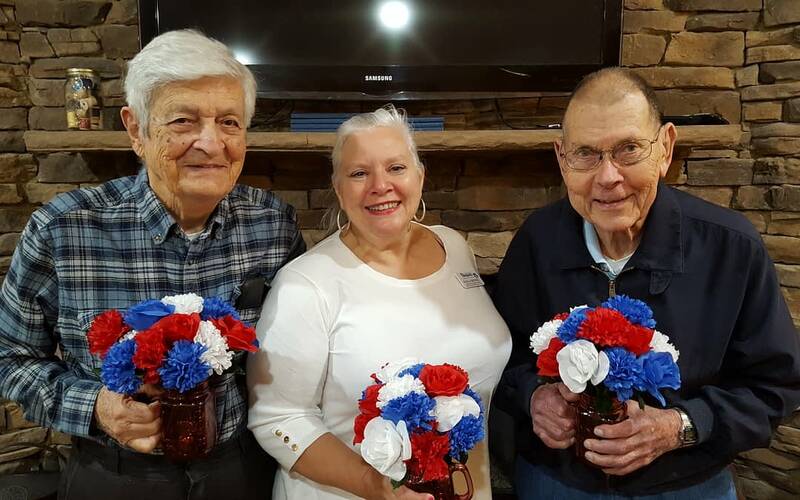 The seniors at the assisted living and memory care community gathered materials in red, white and blue, creating patriotic place settings in the spirit of the holiday. The centerpieces will also serve for the Fourth of July and Flag Day events.